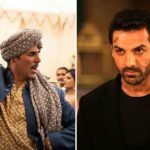 Superstar Akshay Kumar starrer Gold has finally joined the 100-crore club within 13 days of release at the domestic box office. 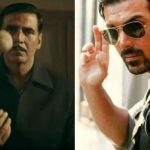 Yes, due to having John Abraham’s mass entertainer Satyameva Jayate in the opposite, it took more days to cross this milestone than expected earlier. 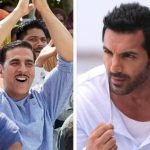 Directed by Reema Kagti, Gold has received mostly positive reviews from the critics as well as the audience across India and gained a strong word of mouth. 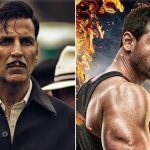 As a result, it did the business of 89.30 crores in the 9-days extended first week, that included 71.30 crores on the 5-days weekend and 18 crores on weekdays. Now it is running the second week and successfully passed the weekend on a solid note. 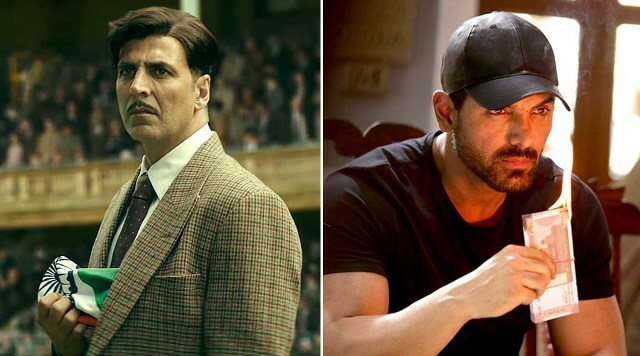 By showing a healthy uptrend, it registered the 9.70 crores with 1.85 crores on 2nd Friday, 3.10 crores on 2nd Saturday & 4.75 crores on 2nd Sunday. Then on 2nd Monday, with a drop of 21.61%, Gold collected 1.45 crore and raised its 13 days total to 100.45 crores nett. On the other hand, Milap Milan Zaveri’s directorial Satyameva Jayate has also got succeed to hit the target right and received thumbs up from the viewers. In the 9-days extended opening week, it did the superb business of 75.09 crores with 56.91 crores on the 5-days weekend and 18.18 crores on weekdays. Now it is running in the second week and raked the business of 8.34 crores in the weekend that included 1.82 crores on 2nd Friday, 2.20 crores on 2nd Saturday, and 4.32 crores on 2nd Sunday. On the next day i.e. 2nd Monday, due to normal working day, SMJ faced a considerable drop and minted 1.49 crore to take its 13 days total to 84.92 crores nett.